Feb. 25 Spring Sports Parent Meeting 6 p.m. @ Bradley H.S. Feb. 27 Ready for Tomorrow Night 6:30 p.m. @ Darby H.S. March 9 “BE WELL: A Parent University Event” with Dublin Schools CLICK HERE for more information. 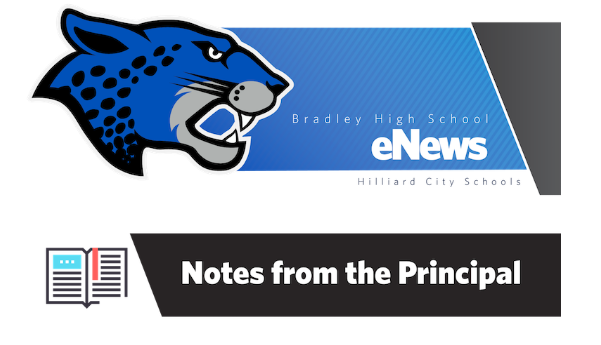 February is Digital Wellness Month in the Hilliard City School District. During this month you will hear, read, and watch information purposefully crafted to start conversations with young people about appropriate uses of technology. We encourage families to engage in these same conversations at home; it takes all of us working together to keep students safe and healthy. Take a look at this week’s digital wellness family activity on SAFETY. Priority Registration is now open for “Be Well: A Parent University Event by Dublin and Hilliard City Schools” Choose from more than 100 sessions structured around student mental health and well-being. You can register for sessions in either district. This free event will take place at Darby High School and the Dublin Emerald Campus. You can come for one session or stay all day! Lunch will be provided free of charge for those registering with us. Priority registration will close March 1. Hilliard City Schools engaged our community in an exchange about preparing our sixth graders for success. We invited participants to share thoughts and rate the thoughts of others. You can now see the results of that exchange using our interactive webpage. February is Digital Wellness month in Hilliard City Schools. Each week we will take a look at a different topic. Go to the Digital Wellness page to see some activities that families could use at home around being healthy and safe in the digital world. This week we will be focused on Digital Safety. Transition night is a free resource fair for students with disabilities and their families. It is designed to assist with future planning. This event will be in an Open House format so please join us to learn more about Adult Day Programs, Supported Living Options, Transportation, Home Care Services, Wills Estates and Trusts, Guardianship, Local Recreational Options, Employability and State Agency Support. The event will take place on February 26 from 4:30-6:30pm at Darby High School. Please join Hilliard City Schools and Dawson for a night to connect students and families with select businesses and colleges in our region for career exploration and job opportunities. Our second annual Ready for Tomorrow Career Night will take place on Wednesday, February 27 at Darby High School. Students, parents and community members will learn about opportunities available after high school. We will have dozens of companies on hand to discuss career pathways, job readiness, tuition reimbursements and workforce experience programs. The event will run from 6:30 until 8pm.